En fait pour simplifier, remballez vos mensonges style “Un Prophète” et autre “Dog Pound”, la vie en prison quand on s’appelle Lil Wayne, ça ressemble juste à une vie d’étudiant ou de chômeur banal au final. “Hello world… I’m good. Counting the days and still smiling. Most of those smiles come from hearing my kids’ voices over the phone. The others come from reading fan mail. Let me just say that I have the best fans in the world! The devotion, dedication, support, love, and most of all, prayers are simply the best. I never imagined that I could have such an impact on people’s lives. Because of this, I vow to be a bit more careful of what I say. This entry was posted in Non classé and tagged barreaux, cellule, chomeur, dévoilé, emploi du temps, enfermé, espn, étudiant, fan, free weezy, habitudes, incarcéré, journée, lettre, lil wayne, mystère, prison, quotidien, rapstar, rikers, taulard, téléphone, vie, young money. Bookmark the permalink. Et c’est juste hier que j’ai dit à mon mec que j’allais fabriquer des tee shirts “Liberez Lil Wayne ou Yvan Colona”. 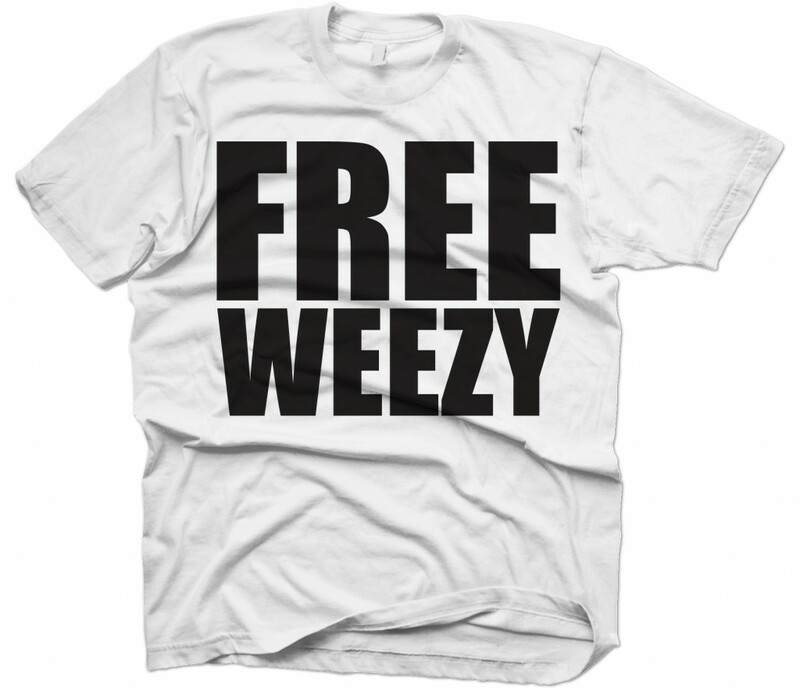 Non finalement je vais juste m’acheter un Free Weezy, façon plus soft d’afficher ses profondes convictions.